Lumines LARGO M4 is one of the mounting profiles designed for LARGO surface profile. 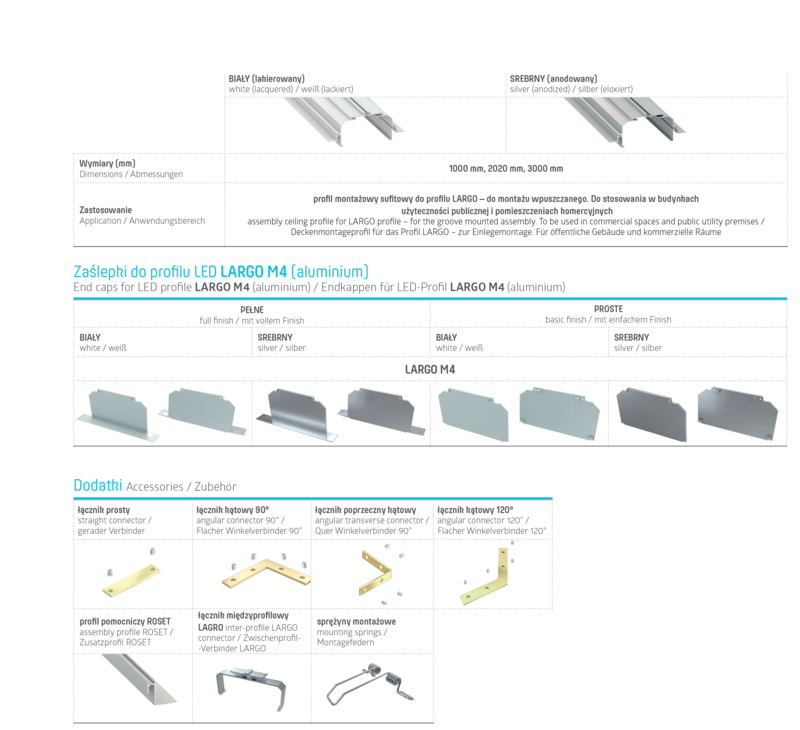 It is an assembly ceiling profile for LARGO profile - for the groove mounted assembly. To be used in commercial spaces and public utility premises. There is a possibility of cutting the profile to any size.